Imagine how you would feel if you took a loved one to the doctor about an irritating growth on the neck, and the doctor said it was nothing to worry about — and the lymphatic cancer spread. Perhaps you don't need to imagine this scene because you already have experienced something similar. When cancer is not diagnosed in a timely fashion, it can metastasize and lead to death. For this reason, failure to diagnose cancer is regarded as one of the worst kinds of medical malpractice. 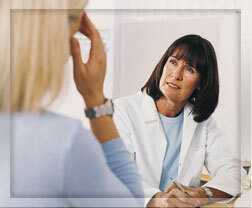 The key to successful cancer treatment, all experts agree, is early detection. So time that is lost due to faulty diagnosis diminishes one's treatment options. At Watts Law Firm, we seek compensation for cancer victims and their families for these tragic delays. Misdiagnosis: It is frustrating to learn that your medical team is treating you for an illness you do not have, and ignoring the disease you do have. Delayed diagnosis: The greatest asset physicians have in treating cancer is time, which allows them to try less destructive treatments. When time is short because of a delayed diagnosis, medical options are more limited. Misdiagnoses of types of cancer: breast cancer, lung cancer, liver cancer, esophageal cancer, colon cancer, bladder cancer. Other serious misdiagnoses include appendicitis, heart attack and stroke. Misreading medical images, including X-rays, MRIs and mammograms. When radiologists misread images, patients' chances for survival are diminished. Mismanagement of disease: When a disease like diabetes is mismanaged, consequences can be life-shortening. Watts Law Firm, P.C., is known statewide for our knowledge of medical procedures and our ability to gather evidence even when hospitals and clinics try to shield providers from inquiry. We are not afraid to challenge medical professionals who are derelict in their responsibility to patients. We invite you to contact us by phone or e-mail, and describe your situation. Was your cancer diagnosis botched? Hold the negligent party to account. Call the Vermont "failure to diagnose cancer" lawyer, Norman Watts, at (802) 457-1020.